Whether you want to replace your existing bathtub or convert your shower to a tub, Bath Solutions of Toronto West can provide you the perfect solution. Our walk-in tub installers can transform your current bathroom into a beautiful place. 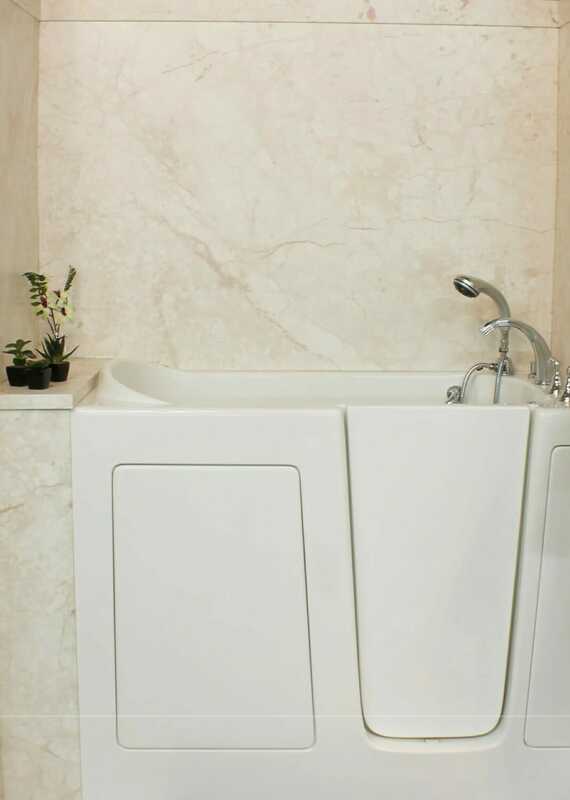 When it comes to comfort and safety features, walk-in tubs from Bath Solutions of Toronto West are the best. Our walk-in tubs have a lot of unbeatable safety options. You can replace your high-rise tub with a walk-in tub that has a leak-proof side door allowing more safe and convenient access to the tub. We focus on providing optimum safety and comfort to our customers through our products. 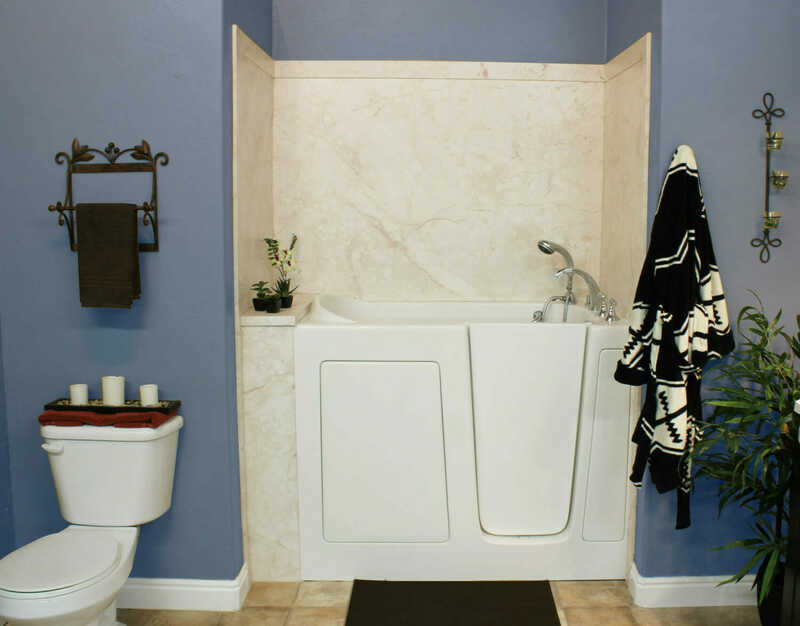 Our walk-in tubs can also be customized to your specific needs. The bathtubs include built-in seats, anti-slip surfaces, low step-in, and ADA-compliant grab bars. Our bathtubs have a variety of luxury and comfort features. They feature hydrotherapy options that can boost your energy and relieve your pain. You can select from a large number of features such as massaging water jets and heated backrest creating a spa-like experience. Our walk-in tub/shower combo combines the convenience of a shower with the luxury of a bathtub. The combo includes a shower wand, easy-to-reach controls, personal hygiene bidet, and massaging water jets. The combo has a lot of therapeutic and convenient options that can provide great comfort and convenience. Walk-in bathtubs can easily satisfy the needs of the seniors. Our tubs are also ideal for people with disabilities. Most of the slip and fall injuries tend to occur in the bathroom. Of these, the majority of falls occur in or near the bathtub or shower. when leaning on a glass door that was not designed to support the weight. Fortunately, a bathroom can still serve as a relaxing refuge for seniors and those with mobility limitations. Our walk-in tubs come with many safety features. You can enjoy a relaxing, warm bath that relieves your stress, aches, and pains. Our walk-in tub installers can complete the installation in just one day. We recognize the time constraints of our customers. That’s why our installers strive to complete the project in just one day. We are determined to make the installation process easy, worry free, and quick. You won’t have to wait long to use your new bathtub. Bath Solutions of Toronto West provides free, in-home consultations for walk-in tub installation. Our walk-in tub installers will come to your home to answer your questions regarding installation of a walk-in tub. If you want to schedule a FREE in-home consultation, contact us at (416) 467-4949 today.